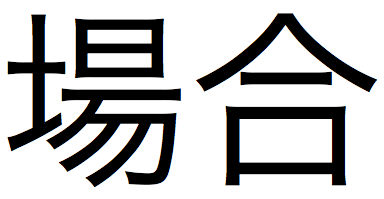 This entry was posted in probability / possibility, vocab and tagged conditional, hypothetical, 場合 by Daniel. Bookmark the permalink. That Chiebukuro link is nuts. “「平成」は表記では「へいせい」ですが、ＮＨＫのアナウンサーでも「へーせー」と発音し、それが正しい発音だとしています。” 1000 yen says that even this person pronounces it “へーせー” but is convinced that they’re actually sounding out the いs separately. Haha. That’s great – I hadn’t noticed that section. ばわい is definitely more noticeable of a change than that, but I wonder if ばあい vs ばーい is as well? Whenever I think of someone trying to pronounce every い, I get this funny Japanese voice in my head…like a Samurai voice or maybe a Noh stage voice? heIseI!